2 minutes drive from main road -1/2 Km. 5 minutes drive from ECIL X roads - 2 Kms. 15 minutes drive from Neredmet X roads - 6 Kms. 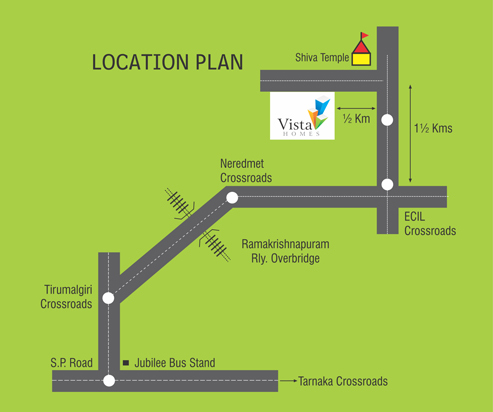 20 minutes drive from Tirumalgiri X roads - 9 Kms. 30 minutes drive from Secunderbad (Jubliee Bus Station) - 12 Kms.